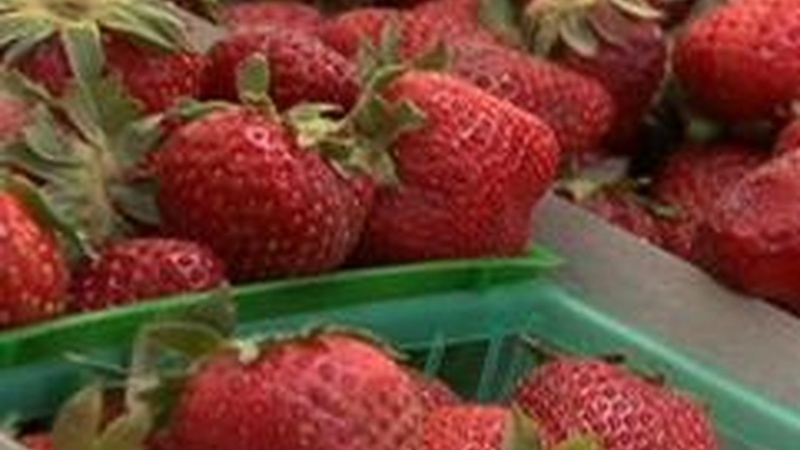 Strawberries are in peak form right now. 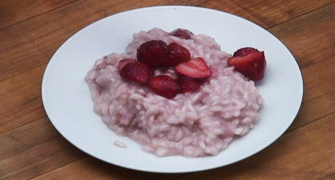 Here's a way to turn strawberries into a risotto -- it's really a strawberry rice pudding. Instead of chicken stock as your base you'll use milk and a bit of cream. Delicious! Reserve 1/2 a basket of strawberries for garnish. 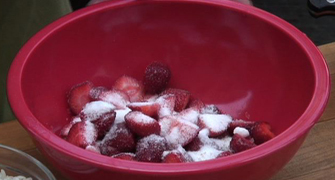 Set aside in small bowl with 1 tablespoon of sugar to bring out the juices. Heat half the butter in a heavy, 2 quart saucepan. 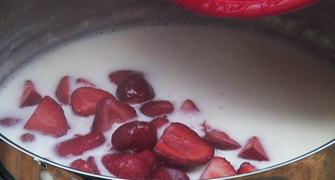 Add the strawberries and cook over low heat until they begin to break down. Add the rice and let it absorb the berries. Add the wine and cook over low heat until the rice absorbs it. Meanwhile, heat the water and milk together in a small saucepan until hot. Turn off the heat, but keep the liquid hot on a low heat. 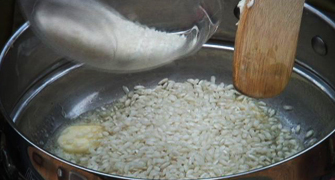 Add the hot liquid to the rice over low heat. Wait until all the liquid is abosrbed before adding the next ladleful of liquid. Midway in the cooking time add remaining sugar and pinch of salt. When the risotto is just tender, add the remaining strawberries, butter and cream. Turn off the heat and stir risotto vigorously until all the butter and cream are absorbed.